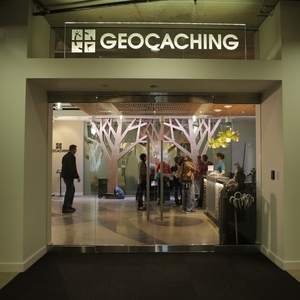 Thank you for scheduling your Meet & Greet at Geocaching HQ! We look forward to seeing you here at the HQ Visitor Center soon. We offer guest parking up to 2 hours under our building. We recommend parking below our building no earlier than 30 minutes before your Hosted Visit to ensure you have enough time to stay with us. While driving on North 34th Street, turn down Troll Avenue towards the water. The Aurora Bridge will be directly above you. At the stop sign, take a right and then another immediate right into the Lakeview Building parking lot. Drive straight to the back of the lot and on the left hand side, you will see the parking garage gate with the sign "Lakeview Building Parking" above. Enter the parking garage, take a ticket and park anywhere on 1/P2. Take the blue Lakeview elevators up to the third floor. Parking for longer than 2 hours? You are welcome to park in our garage for 2 hours and then move your car to a pay-to-park lot or find street parking nearby. 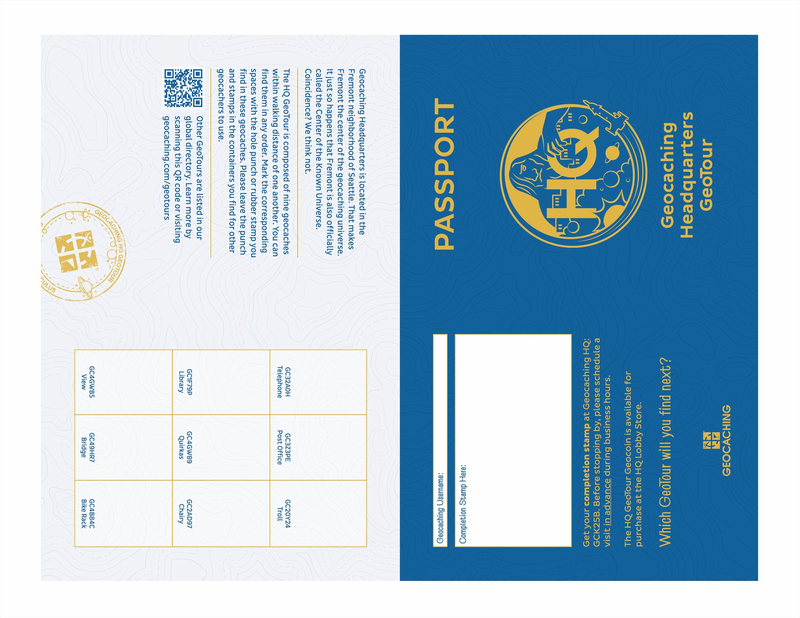 To maximize the time you have to mingle with other geocachers and staff during the 30 minute Meet & Greet, we recommend joining us in the Visitor Center before or after the session to find the HQ geocache and sign the logbook, capture the moment in our photo booth, discover over 50 rare trackable items, add the HQ souvenir to your account, and browse exclusive HQ merchandise and geocaching supplies in the gift shop. When you arrive, please check-in with HQ staff. Meet staff and other visitors. Share your geocaching stories and experiences. Learn about our everyday work life here at HQ. At the end of the month check back on our Photo Booth page to see your photo booth pictures and updates from our month of awesome visitors! Feel free to share them with your friends and family - and encourage them to come and visit us, too!